Welcome to All Saints’ Anglican Church. 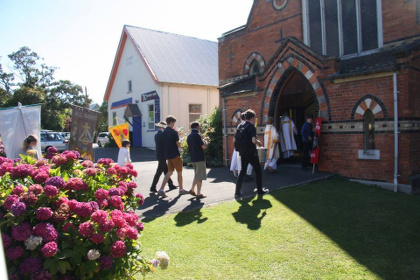 We are a vibrant, lively Anglo-Catholic faith community based in North Dunedin. Our families are an important part of our parish. Sunday school operates most Sundays, while once a month we have a combined Family Mass where the children help lead the service. Students from the nearby university and polytech bring lots of youthful energy and we are strongly affiliated with SCM (Student Christian Movement), who are the progressive Christian group on the Otago campus. Our congregation is built on a strong foundation of regular mature parishioners who bring a wealth of experience and wisdom, linked to our roots in the life of the local community which go back 150 years. 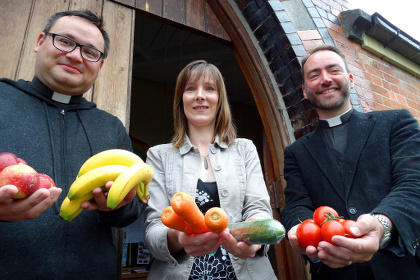 With Jesus Christ at the centre, we are theologically orthodox and socially progressive. We welcome and affirm people of every ethnicity, gender, orientation, ability, and background. We hope you will join us in our shared mission to build up the body of Christ in the Parish of Dunedin North through service, worship, fellowship and witness. Donations are now being received for the window in honour of the Rev. Arnold Spencer-Smith (1883-1916), chaplain and photographer to Sir Ernest Shackleton’s Ross Sea Party. 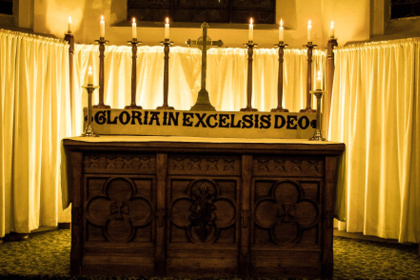 Taizé evening services are held at 8.00pm on Sunday evenings. Join us for a time of contemplative prayer and to sing songs from the Taizé community. The service is centered around ten minutes of silence. Services for 2019 will recommence on the 10th February. Haere mai, please join us.